We are pleased to announce that our new Online Application Portal is available to use. The application can be updated as many times as you require, simply log in and complete your personal details. The option is also available to upload projects as and when they are completed, which should enable all applications to be completed over the preceeding 5 year period that the application requires. For architects who are re-applying for accreditation your deadline will be based on your initial accrediation date (not 31 December). This is in order to spread applications throughout the year for the benefit of our volunteer assessors. Registration with The AABC Register requires assessment. Assessments are based on evidence of knowledge and experience in the field. Assessment teams consist of two qualified Architectural Assessors and one non-Architect who is informed and interested in this area of activity. Our Application Form, Re-accreditation Application Form, Mentor Scheme Form and mentee documentation is available via this website in downloadable/printable form in Adobe Acrobat format. Download our forms by using the form here. We are in the process of streamlining our application process and making it easier to quickly grasp what is required. 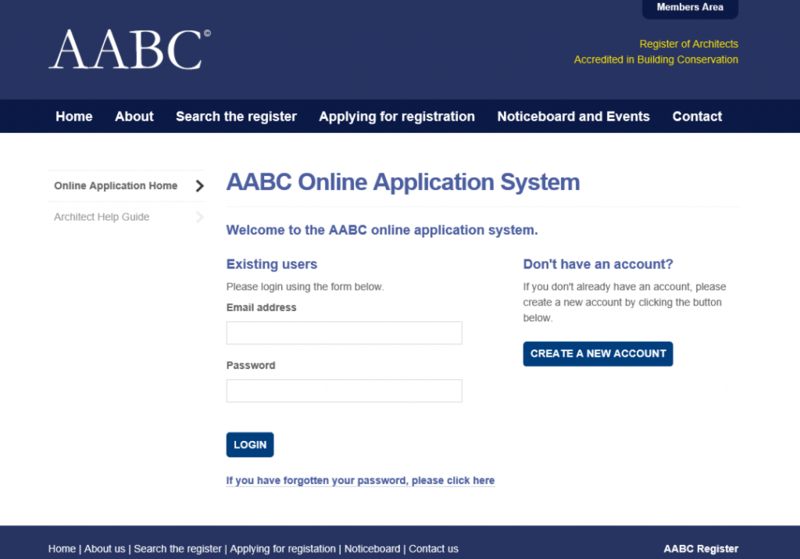 This has resulted in the design of the AABC Sketch Guide to showcase how best to fill out our application forms. Easily printable on a single side of A4, you can download the sketch guide below. You may also receive the form and accompanying documentation by post (please use our Contact Page).